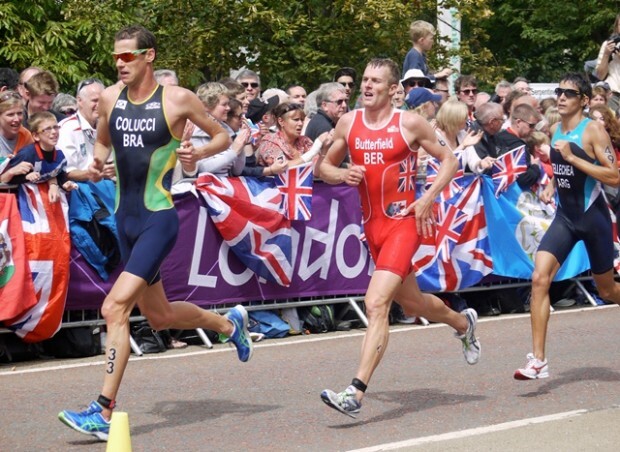 Bermuda’s Tyler Butterfield will compete in the Men’s Triathlon the 2012 London Olympics this morning [Aug 7], with the race set to kick off at 7.30am Bermuda time. The event will take place in London’s Hyde Park, and consists of a 1,500m swim, a 43km bike, and a 10km run. This is Butterfield’s second Olympic appearance following after the 2004 Olympic Games where he was the youngest triathlete at 21 years old. He is the second member of his family to compete in the Olympics, as his father Jim Butterfield rowed for Bermuda at the 1972 Olympic Games. We will update as able through the race, and you can follow the triathlon live on the Olympic website here, and view all our Olympic coverage here. Update 7.35am: The race is underway. There are 55 athletes in the field. Update 7.50am: Butterfield came out of the swim in 54th and the transition in 50th clocking a time of 18.58. Update 8.15am: Butterfield continues to move up, he is 37th after the 3rd bike lap. Update 8.23am: Butterfield is back to 45th after the 4th bike lap. 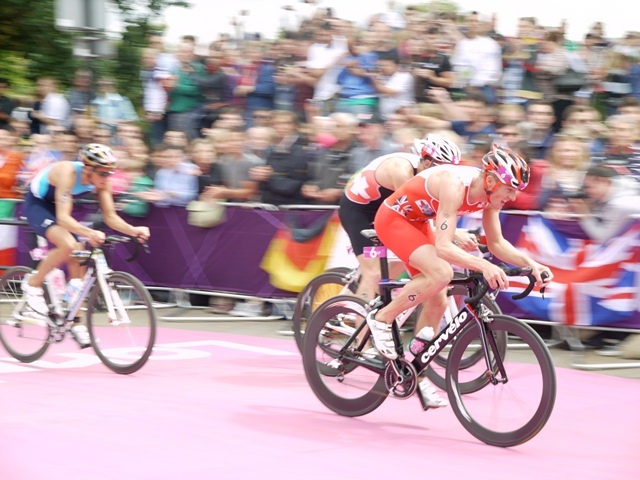 Update 8.26am: Two time Olympic medalist Simon Whitfield of Canada is out of the race after a bike crash. Update 8.32am: Huge jump from Butterfield in the 5th lap – he moved from 45th to 28th – and was just mentioned by the BBC commentators as being part of the chase pack. Update 8.41am: Butterfield held position, he remains in 28th place after the 6th lap. Only one more bike lap to go. Update 8.59am: He has dropped back to 35th on the 1st lap of the run. There are 4 laps. Update 9.06am: Butterfield is 36th after the 2nd lap. Alistair Brownlee of the UK is leading the race. Update 9.14am: Butterfield is back up to 33rd after the 3rd lap. He has one lap left. 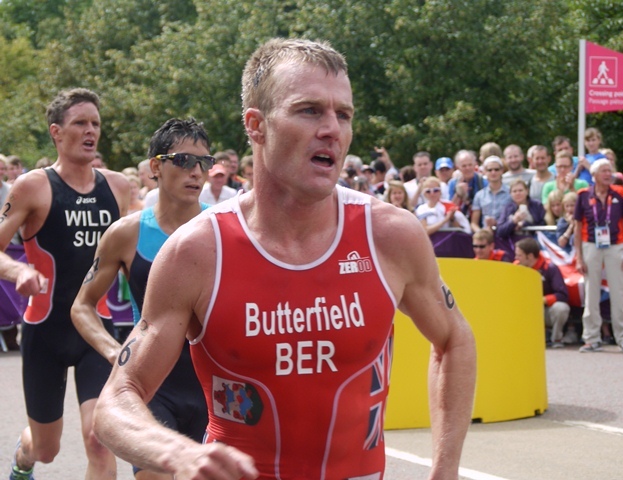 Update 9.18pm: Butterfield has finished in 34th place with a time of 1:50:32, and could be seen waving his thanks to the crowd for the support as he came up to the finish line. 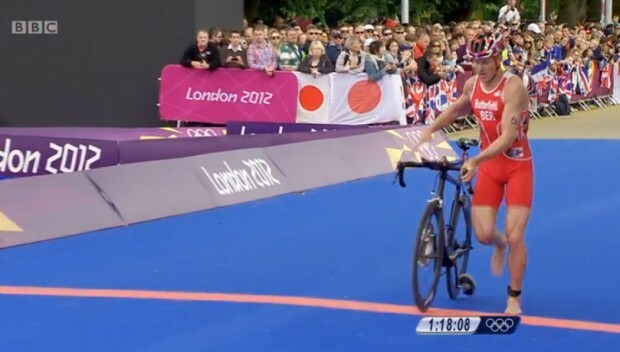 Alistair Brownlee of the UK has won the race, crossing the line with the Union Jack flag thrilling his home crowd. His brother Johnathan Brownlee claimed bronze, while Javier Gomez of Spain took the silver. Bermuda has only one athlete left to compete in these Olympic Games, with Arantxa King scheduled to take the track this afternoon for the women’s long jump. Update 12.30pm: Thanks to Adrienne Smith who was in London cheering Butterfield on, a few photos are below. Good luck Tyler. We know you will o your best ! Well Done TYLER so proud of you!!!! 34/54 — Not too bad! Good Job! Thanks BerNews for your prompt updates of our Bermuda Olympians’ events. Another very solid performance by a Bermudian athlete. Well done and congratulations. It was an amazingly exciting race and it was great to see Tyler get a few mentions during the commentary. Well done Tyler! 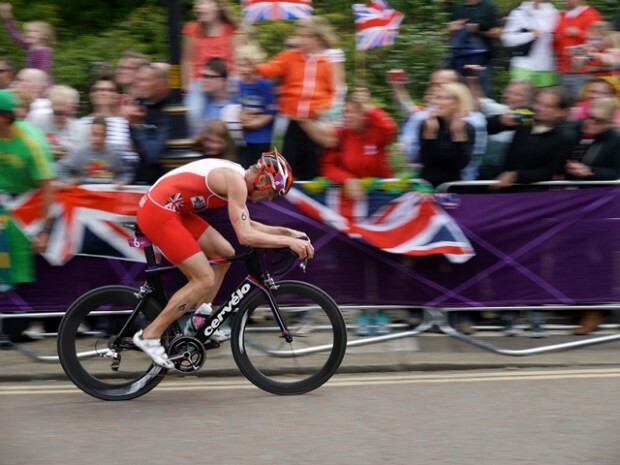 We watched you on BBC and it was a proud moment to hear your name and see you change from the bike to the run. Thank you Adrienne for the great pics!!! Congrats Tyler, you made Bermuda proud! All the best in your future!